This Week in Disney Parks Photos: Easter Eggs That Impress! Scenes from the Disney Parks: Spring in Bloom! Primark Sells an Adorable Array of Disney Beauty Products — but There’s a Catch! Quiz: Can You Guess the ‘90s Disney Movie From the Stock Photo? Thumper’s Easter Basket ~ Make Your Own! 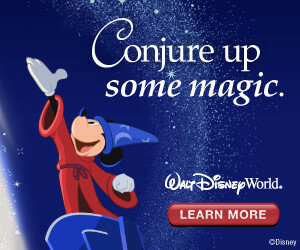 Disney Inspired Banners For Any Type Of Disney Vacation! #AskIt – Does Walt Disney World Need More Value Resorts? Quiz: Can You Name the Last Song in These Disney Movies? Quiz: How Well Do You Know New Fantasyland? Disney World’s Star Wars Galactic Nights FOOD is INSANE This Year! Quiz: You’re LeFou. Can You Get Gaston to Go a Day Without Looking in the Mirror? JUST ANNOUNCED: The D23 Expo 2019 Dates Are Here! Easter Baskets, Brunch, Photos and More – Now at Disney Springs! It’s the Enchanted Eight! VOTE NOW! Quiz: Which Random Disney Quote Should You Text Your Friends Right Now? Is Disney World’s Artist Point Worth The Money? The Hottest New Disneyland Popcorn Bucket Is Selling Out FAST! Disney World FREE DINING For Kids Package Is HERE! Ask It Results: Disney and Rose Gold, Hot or Not? Magic Madness Sorcerer’s Sixteen – VOTE NOW! Quiz: Can You Guess the ’90s Disney Movie From the Random Song Title? Get Excited — Disneyland Is Hosting a Star Wars-Themed Event After Hours! Go Wild for the New Animal Kingdom 20th Anniversary Alex and Ani and Dooneys! Get a Glimpse of Star Wars: Galaxy’s Edge Before It Opens at Disney Parks in 2019! Mickey Balloon Popcorn Buckets Have Arrived at Magic Kingdom! Disney Just Released a New Minnie Mouse Hat, and We Are So EXCITED! The Bride in This Disney World Wedding Wore the Live-Action Cinderella Gown! Ask It: Disney and Rose Gold, Hot or Not? Upcycled Park Map Jewelry Is Perfect For Earth Day and A Great Cause! Are These New Upcharge Events at Walt Disney World Worth the Cost? Is Universal’s Marvel contract enough to keep Black Panther’s Wakanda out of Epcot? WDW Tip of the Week – Save Your Disney Rapid Fill Mug Lids! Quiz: Can You Guess the Disney BFFs by the Really Bad Sketch? Another Change in Disney World’s Magic Kingdom Snack Game: The Mint Julep Slushy! Whimsical MagicBand Bows To Help Celebrate Spring! Dining Review: ‘Ohana – Is This the Best 1-Credit Dining Experience at Disney World? 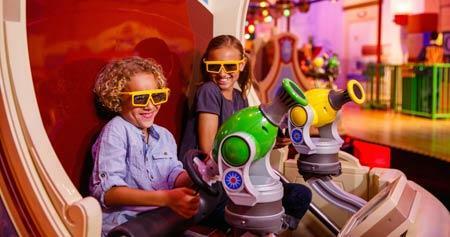 Quiz: How Well Do You Know Mission: SPACE? My Most Wanted MagicBands – Do you have any of these? This Weeks Merchandise Finds on ShopDisney! Tapestry of Dreams/Nations, gone but not forgotten. Disney’s Hollywood Studios Has An Anniversary Approaching And We Are Celebrating With New Merchandise! Quiz: Can You Guess the Disney Princess From These Three Random Clues? Enter my massive MagicBand giveaway! Are You Planning a Spring Break Getaway? Don’t Forget Your Personalized Tumbler!